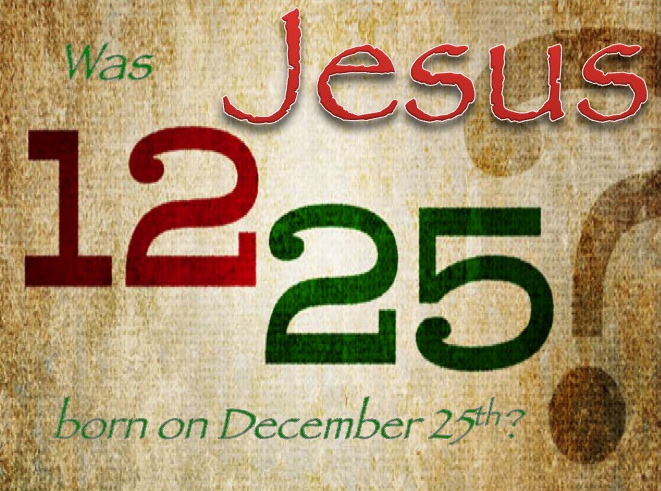 Tommy Mann : Was Jesus Born on December 25th? Christmas is the Christian holiday that remembers the birth of Jesus Christ, but was this whole idea just borrowed from other religions? Dionysus (Greek) was born on December 25th. He was known as the son of Zeus, and his followers symbolically ate his body and drank his blood in the form of bread and wine. Attis (Roman) was born on December 25th to a virgin. Attis was sacrificed through crucifixion on a tree, and he spent three days in the underworld. On the third day, Sunday, he rose again. Later, his body was symbolically eaten in the form of bread. Osiris (Egyptian) had his birth announced by three wise men, and his followers ate his body in the form of cake. Other gods claimed to have been virgin-born, like Ion, Pythagoras, and Hercules. If these things are true than it would seem as if Christianity were nothing more than a chapter from mythology. Is Jesus just another ancient god along with Dionysus, Attis, and Osiris? Let’s look a little closer at these similarities. Starting with the virgin birth accounts, none of these supposed births came from a human. While Jesus was born to the human Mary, these other gods were born to other gods, which tarnishes the whole miraculous part. Anyone can write a story of a fictional god producing another god; the biblical account of Mary could be validated by all who knew her. But what is more important is the date of these events. Proponents of these conspiracies teach that these gods were “pre-Christian,” meaning that they happened before Christianity, and thus, Christianity copied them. But Christianity did not begin with the resurrection of Christ, or even His birth. Consider that Isaiah prophesied that Jesus would be born to a virgin more than 600 years before the event came to pass. Even more impressive is that God Himself told Adam and Eve that the Son of a woman would bring salvation (Genesis 3:15). Every other child in the Bible is referred to as being from the father, but Jesus was from the mother. These prophecies about the virgin birth predate any religions of antiquity, so if anyone is doing the plagiarizing, it would seem that others have ripped off God’s story. The same case can be made for people eating bread to symbolize the body of other deities. Jesus first told His disciples to remember Him when they ate the bread in the year 33, long before other followers began to eat bread to symbolize their gods. Even still, the meal that Jesus was referring to was the Passover, a feast that Jews had been eating since the Exodus. This was a centuries old practice for the Jews, which certainly doesn’t “pre-date” Christianity. For the ones who claim that Attis was crucified, there is no record of that report until 150 years after the resurrection of Jesus, meaning that all the Gospels were in circulation when this report first surfaced. Attis was known of before the birth of Christ, but his crucifixion and resurrection came much later. Other claims of resurrections do not hold up either. Osiris was murdered by his brother, who mutilated his body and chopped him into 14 pieces. Isis, who wanted to give Osiris a burial, was only able to find 13 of his pieces. He never resurrected, but instead was declared to be the god of the underworld. This doesn’t look like it was stolen by Christianity, does it? In fact, no ancient gods ever claimed to have been sacrificed for sin, and none ever claimed to have risen back to life. Attis came back in the form of the sun god, not to a bodily resurrection. Osiris’ birth was announced by 3 wise men, but that does not mean that Christians stole that detail. For one thing, Jesus' birth was announced by angels. For another, wise men visited Jesus, but not until He was about two years old. Tradition puts 3 wise men in the nativity, but the Bible does not. And so that brings us to December 25th. Was Jesus born on that day, or is that copied from ancient religions? We have already seen that other pagan religions have stolen from Christianity, so the case about His birth is not under fire any more, but let’s look anyway. December 25th coincides with the winter solstice. On that day the night is longer and the day is shorter than any other day of the year. The night gets progressively shorter while the day gets progressively longer on the proceeding days. Ancient pagans created gods to be born on December 25th and said that as their gods grew, so did the day. The sun gods were especially common to have been born on the winter solstice, and that is why older gods claimed that day. Was Jesus born on December 25th? No. But did Christians plagiarize that day? No. This is similar to Halloween, which is filled with pagan practices. While ancient pagans were out indulging in their holiday, Christians began to find ways to combat it. Consider how your church might utilize a “trunk or treat,” Fall Festival, Judgment House, or Halloween Alternative (I have been to Hallow-Teens, for example). This doesn’t mean that Christians stole October 31st from pagans; it means that they are combating what is sinful with something holy. We don’t know the date that Jesus was born, so early Christians began to observe His birthday on the day that pagans were observing the birthday of their gods. When the pagans were celebrating, so were the Christians. Jesus was most likely born in the fall. The fact that Joseph had to return to his hometown to be taxed is a good indication. These taxations took place after the harvest when people had the most money on hand, so many believe that Jesus was actually born around late September. The Feast of Tabernacles (or Booths) was also at this time, and travel was not unusual. The shepherds in the field with their flocks is also important. In December the fields would not provide grass for grazing, and shepherds usually gave up on the fields after the fall. Christmas literally means “Christ-mass,” which refers to the Catholic mass, or their rendition of the Lord’s Supper. Since the date of the birth of Jesus is not known, the Roman Catholic Church established that a Christ mass would be observed on December 25th while the pagans were celebrating the new sun. So Jesus was not born on December 25th, but I have no problem celebrating that day. As Christians, we say that we actually celebrate His birth every day, just as we celebrate His resurrection more than just at Easter. So let me wish you a Merry Christmas, and let us wish Jesus a Happy Birthday, for both take place in the lives of believers every day of the year. Thanks for clearing this up in the explanation you gave. I, like countless others have heard all kinds of stories regarding the actual birthdate of Jesus but this is the best explanation I've ever read. I've always wondered if any mortal being could say with certainty the actual day he was born, but in reality, his actual birthdate is not as important as the fact that he was born and the documented chain of events surrounding his life, death and resurrection. You're right Myron. Jesus' existence, death, and even resurrection are all confirmed by history, so no matter what the conspiracy theorists say, we know that He is real. Merry Christmas to you and your family. I look forward to reading more of your writing in the New Year! Thank you Elaine! And Merry Christmas to you too! We thank the Lord for you Tommy as He has given you great insight and love for His word. While December 25th is set aside for Christmas, may we celebrate Him every day! We are so blessed to have you and your precious family at Philippi! Thank you Kim! That means a lot to me! All praise to our Lord!